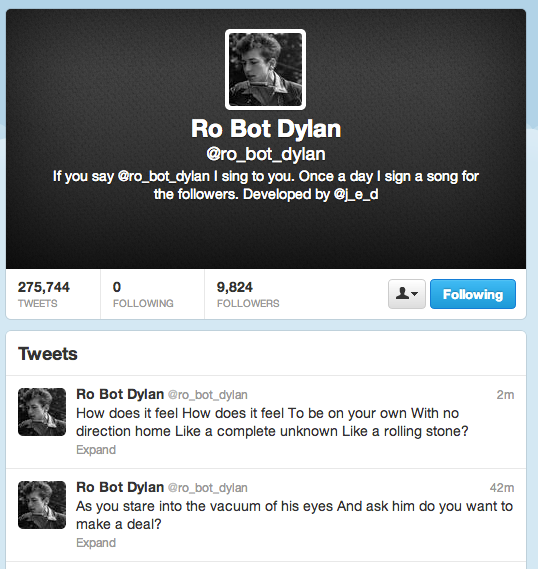 If you’re on Twitter I highly recommend following Ro Bot Dylan – each day he sings a new Dylan tune a line at a time via tweet. It’s a really neat way to see these amazing lyrics in small bits rather than mixed in to the songs we know so well. The little bite-sized lyrical nuggets are perfect and I love seeing them pass through my feed throughout the day.